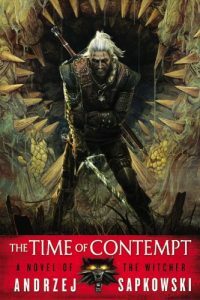 To be honest, The Time of Contempt is not my favorite of Sapkowski’s books due to it being heavily involved in politics, but there are many important scenes that transition to very important events that occur later on in the series. There are also quite a few important references to this book that are mentioned throughout the game and these references may actually not make much sense if you have only played the game. While I will not be diving too deeply into the politics of this fantasy world, I hope what I do talk about gives players more clarity as to what certain references mean. Synopsis of The Time of Contempt: The impending war has finally broken out. Wizards of the Wizard’s Guild who were asked to help fight are now being intimidated by an unknown threat. Geralt has been severely injured and is unable to fight. And Ciri, who holds the fate of the world in her hands, has disappeared. The land is in turmoil, different races are at each other’s throats both literally and figuratively, and hope is beginning to fade. The time of contempt has truly begun. I’m probably sounding like a broken record, but I would like to give the reminder yet again. Please do not feel obligated to read the whole article if you are only looking to read about a certain part of the series. If you are still with me and have read every article so far, just know that it means the world to me knowing you have stayed with me this long. Now then, let us press ever onward. The Isle of Thanedd is where we shall begin this article and it is, perhaps, the most important reference found within this book. While this island is never seen in Witcher III: Wild Hunt, it is referenced a number of times and players who haven’t read the books may be wondering: what happened on Thanedd? First, we shall talk about a reference that is located on Thanedd. There are two schools that taught magic, one for sorcerers and one for sorceresses: the School of Aretuza was the school for the latter. This school is referenced one time in the game, which can be found towards the end of the quest Final Preparations, but this school plays an important role in The Time of Contempt for it is a school that Ciri was almost forced to attend. After their time at the Temple of Melitele, Yennefer took Ciri to the ancient city of Gors Velen. The Isle of Thanedd could be seen from this city and upon the isle was the School of Aretuza. Without Ciri’s knowledge or consent, Yennefer had spoken with two of the head mistresses at the school, Margarita Laux-Antille and Tissaia de Vries, to take Ciri in to teach her more about magic. Yennefer truly wanted her to go to the school because she would be safe there and would also be able to develop her magical abilities. [i] Ciri was none too pleased to hear about this and refused to go to the school, believing it to be more of a prison than a safe haven. The school in general is referred to when you talk to Margarita after rescuing her from the prison during the quest The Great Escape. Granted, the school is destroyed and the novices burned in the game thanks to Radovid, but in The Time of Contempt, the school is well renowned and held in high regard. Now we shall talk about another reference from the Isle that is a major turning point in the book series: the banquet that is also known as the Conclave of Mages. This banquet is first referenced during the quest Destination: Skellige. The sorcerers and sorceresses would gather once a year at the beginning of July for the banquet[ii] and the conclusion of this particular banquet leads to many important events that happen within the book series: the creation of The Lodge of Sorceresses, Ciri becoming the woman she is during the game, and the sorcerer Vilgefortz to name a few (I will expand on a couple of these points later on in this article as they are referenced in the game, but the Lodge will not really be focused upon until Baptism of Fire). Throughout Witcher III: Wild Hunt, players will hear Ciri referred to as the Child of the Elder Blood. This may not mean much to players, but the line of the Elder Blood is explained more throughout the books. The Time of Contempt may not expand upon the Elder Blood line in detail, it is probably the first to refer to where the blood line started which is actually referred to in the quest Novigrad Dreaming. This name may not mean anything to those who have only played the games, but to those who have read the books, they know Vilgefortz to be a powerful and evil wizard. I guess you could even call him one of the main villains in the series. This is just a brief look at this sorcerer for as the series continues, this seemingly harmless sorcerer becomes quite a twisted and monstrous man. Within the game, there are two references to Vilgefortz. One we shall discuss once we reach The Lady of the Lake, but the other refers to something that happens to Vilgefortz in The Time of Contempt. If you completed the quest Redania’s Most Wanted and kept the crystal found in Phillipa’s hideout, you can give it to Yennefer at the end of The Last Wish quest to play its recording. On the recording, Phillipa says that she will restore her eyesight like Vilgefortz. In The Time of Contempt, Vilgefortz lead a betrayal that caused the Wizard Chapter and Council to fall and for a large battle to ensue on Thanedd. Geralt was trying to get Ciri off of the Isle and Ciri believed the only way off was by using Tor Lara, the Tower of Gulls, which was a tower with an unstable portal on the Isle that could take anyone who entered it and spit them out in an unknown and random location. Ciri had made it to the tower, but Vilgefortz stood between Geralt and his ward. He revealed to Geralt that he needed the Child of the Elder Blood and that if the Witcher joined him, he could still be by her side as destiny unfurled. Geralt, of course, refused. The two of them fought… Geralt lost. In the following books, it is said that Vilgefortz tried to restore his eye, but it always looked smaller than his real eye and it seemed to have a mind of its own as its gaze wandered around. On a side note, there is actually a reference to the aftermath of the fight between Vilgefortz and Geralt that can be found in the quest Gwent: Big City Players. When you challenge the Sc’oitail, he says that he remembers you. When Geralt asks how, he says that he saw him in Brokilon and if it weren’t for the Dryad’s, he wouldn’t have survived. This refers to the injuries Geralt sustained because they were so bad that he almost couldn’t fight anymore. Triss saved his life by bringing him to Brokilon Forest and the magic from Brokilon healed him most of the way, but his knee and elbow gave him grief throughout the next few books. It is not until The Lady of the Lake that he is completely healed thanks to Fringilla Vigo, but we will mention her once we reach that article. 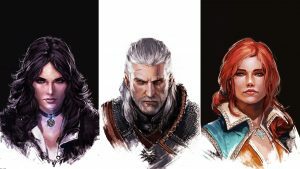 In Blood of Elves, both Geralt and Yennefer received some one-on-one time with Ciri, slowly, but surely stepping into their respective roles as Ciri’s adoptive father and mother. In The Time of Contempt, readers get to see more interactions, as well as finally getting to see Geralt and Yennefer act as parents together. The scenes that I will refer to are not mentioned in the game, but they do pertain to how Geralt and Yennefer act around Ciri and why they act the way they do around her in Witcher III: Wild Hunt. Later on in the book, Geralt and Yennefer both have a parenting moment that shows just how much they each love Ciri and how far they will go to protect her. As I mentioned before, these scenes are not referenced to in the game, but they are so heartbreakingly beautiful that I feel that I must share them with you, my wonderful readers. I will start with Yennefer. 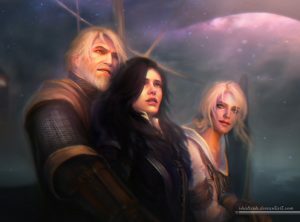 During the battle on Thanedd after the Council had fallen, Yennefer was trying to protect Ciri and told her to run. Ciri was reluctant and didn’t want to be alone, but did as she was told. Before she left, Ciri heard Yennefer say one last thing to her: “I love you, my daughter.”[x] What makes this scene so incredible is the fact that this is the first time Yennefer called Ciri her daughter and told her she loved her. Now the scene with Geralt is referenced in the game in a way that’s not flat out obvious. During Something Ends, Something Begins, Geralt tells Ciri that he traveled half the world to find her. True, this refers to what the players have done throughout the game, but this is actually the second time Geralt has traveled the world to find his ward. The first time was actually his main quest of the book series and The Time of Contempt is when he starts off on his quest. After he was injured on Thanedd and almost completely healed after his time in Brokilon, he made the decision to go out and find Ciri. He had no idea where the Tor Lara portal teleported her and he had no idea where to even begin his search, but he knew he had to find her. 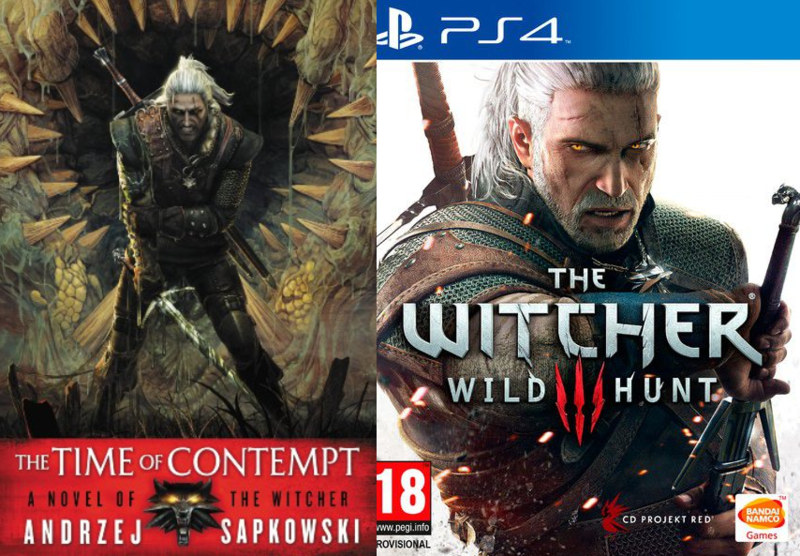 Yes, I put continued because I am going to be finding and talking about references to these three in nearly all of the books, but the ultimate conclusion is simple and how Sapkowski had always planned… Geralt and Yennefer belong together. The Time of Contempt had some very good scenes between Geralt and Yennefer that helped to bring them closer together again after their spat in Blood of Elves. As I mentioned before, Ciri was the one who brought these two together again, just in time for the Conclave of Mages on Thanedd. Yennefer asks Geralt to go with her and he only agrees to go because she asked (this is the book where readers for the first time learn how much Geralt dislikes banquets). This banquet proves to be a rather interesting and uncomfortable experience for Geralt, though rather amusing for the readers. However, two wonderful things happen because of it and while one is not referenced to in the game, it does lead to a reference mentioned during the quest Destination: Skellige. The two had just arrived at the banquet when Geralt tells Yennefer that he loved her. He catches her off guard as she tells him while she had read his thoughts about it in the past, that was the first time he had actually said it, and she returns the feeling by telling him she loves him, too. [xii] This leads to a very romantic evening after the banquet[xiii] which they bring up while talking during the quest Destination: Skellige (I am going to be honest here, I can hear the two of them referencing this scene in the game, but I honestly can’t remember if this is the quest it was referenced in. I will look again to make sure I got this quest correct and, if I didn’t, I will come back and change this). Another reference can be found in the game regarding the aforementioned scene for while they are together, Geralt has a dream about him and Yennefer settling down in a home. Yennefer reads his thoughts and while she likes the idea of his dream, she doesn’t believe she can make it happen. However, in Witcher III: Wild Hunt, if you decide to go with Yennefer, she approaches Geralt right before you battle the Wild Hunt in the quest On Thin Ice. The game makes Yennefer change her mind: she tells Geralt of her dream of running away and building a home of their own together and how she wants him to go with her. [xiv] So… players… if you don’t mind, if you are given the option to say yes or no to Yennefer on her question to go with her… SAY YES. There are not many mentions of Triss in The Time of Contempt. As I mentioned earlier, she did save Geralt in this book by taking him to Brokilon Forest after his almost fatal encounter with Vilgefortz, but before the fight and the fall of the Council, there is actually a bit of tension that occurs between Triss and Yennefer over Geralt. During the banquet on Aretuza, Geralt and Yennefer come across Triss. The young sorceress seems a bit too happy to see Geralt and this does not go unnoticed by Yennefer. Yennefer sends Geralt off to fetch them some wine, but while he is away, he notices Yennefer speaking quickly to Triss and Triss not looking too happy with what she was hearing. By the time he returned to the sorceresses, Triss was gone. Yennefer then tells Geralt that she knew what had happened between them (refer to my Blood of Elves article for the brief fling between Triss and Geralt) and just had to set Triss straight. [xv] In all honesty, and I believe there are parts in the game that capture this very well too, Yennefer and Triss are actually really good friends and were apparently close even before either one of them met Geralt (they do have another spat over Geralt found in *surprise, surprise* The Lady of the Lake which I will focus on when we get there). This closeness between the sorceresses can actually be found in the additional quest It Takes Three to Tango. This quest can only be played through if you decide to romance both Triss and Yennefer… Yeah… keep it in your pants, guys. 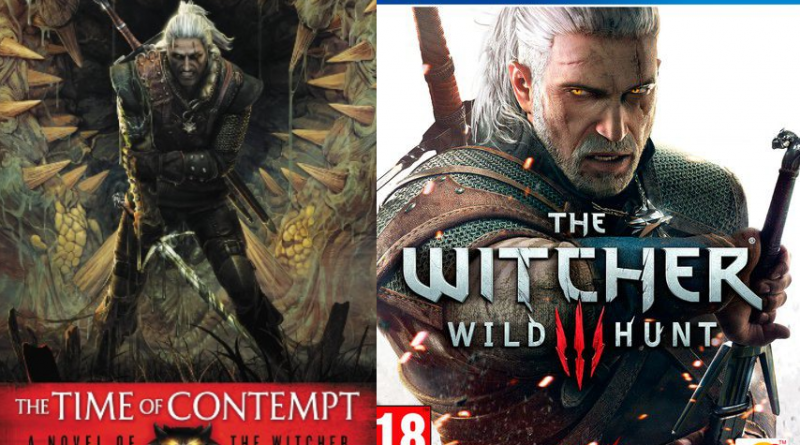 It is not possible to have them both and I love CD Projekt Red for making this quest available to those who think they can outsmart two strong independent sorceresses. The Time of Contempt definitely does a better job of showing readers why Geralt and Yennefer belong together. Triss and Geralt fans may not be happy to hear this, but this book just shows that Sapkowski always intended on Yennefer and Geralt being together. You guys may be happy to hear that you will not hear any of my ranting on these three until my The Lady of the Lake article, more so because these three really don’t interact at all for the next two books. Celebrate, my dear readers, for you get a minor reprieve from my ranting! So, for some of these articles I am going to have this small section of extra references I found in the game that definitely refer to the books, but don’t have enough information behind them to create an entire section about. For The Time of Contempt, we shall focus on three extra references. It is rare for Ciri to be called by her full name, even to call her by Cirilla is rare to find, and in both the game and the book series, there is one part that states Ciri’s full name and title. 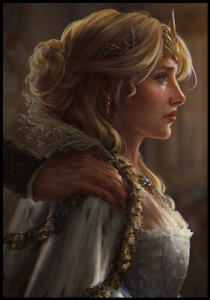 In The Time of Contempt, “Ciri” is introduced to Emhyr’s court after having finally been found safe and alive. She is introduced by her full title: “Cirilla Fiona Elen Riannon, the Queen of Cintra, the Princess of Brugge and Duchess of Sodden, heiress of Inis Ard Skellig and Inis An Skellig, and suzerain of Attre and Abb Yarra”. [xvi] Granted, the “Ciri” introduced in this scene was actually a fake who was being used for show until Emhyr could find the real Ciri, leading into one big bowl of politics we won’t get into in this article. As I mentioned before, I won’t focus too too much on the politics of Sapkowski’s world for I do not fully understand them enough to accurately cover all references and don’t want to get any facts wrong. This same title is mentioned only once in Witcher III: Wild Hunt and that is only if you decide to take Ciri to see Emhyr after the Battle of Kaer Morhen quest. Emhyr himself states her title in the game when Geralt and Ciri arrive and he quotes it word for word as it is written in The Time of Contempt. I do highly recommend players go to see Emhyr for it does play a vital part in which of the three endings players will get. It all comes down to the decision of accepting Emhyr’s money for bringing Ciri to him or refusing the payment… Players, you better damn well refuse that bloody money! For anyone, readers especially, who know the relationship Geralt and Ciri have and the incredibly tight bond they share, they know that Geralt would NEVER sell Ciri for money or for anything in the world. I don’t care if she is a fictional character: do not hurt that baby girl and refuse to take the Emperor’s coin! There is an exclamation point you can find outside of Oxenfurt if you take the bridge outside of the Novigrad gate. When you reach the end of the bridge, there is a group of soldiers crowding around a cage with a small wyvern inside. The man promoting the creature claims that it is a basilisk until Geralt steps up to correct him. When the soldiers start getting upset with the man, the man lets the wyvern loose so he can run away. This is a nod to a scene within The Time of Contempt, but rather than Geralt pointing out the mistake, it was Ciri. This may or may not be an actual reference to the books, but there is a hint of one, so I will mention it anyway. It is also the first and only reference that will actually refer to a set of armor in the game. When playing through the Blood and Wine expansion, there is a special set of Witcher armor that all players strive to get due to it being one of the most powerful sets in the game: the Manticore armor. 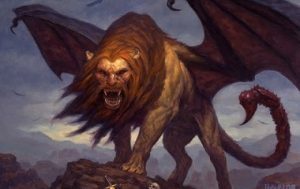 I actually had to look up what a manticore was and it is actually a legendary creature from Persian mythology that looks both really cool and really creepy. None are found in the game, but in the game, there was apparently a Manticore School of Witchers… which is not referenced to in the books. What IS mentioned in the books is the fact that Geralt faced off against one and defeated it. 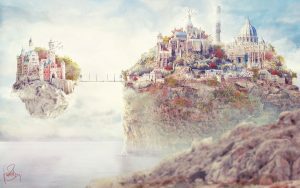 At the very beginning of The Time of Contempt, there is a backed up path of travelers and merchants trying to get to the next town. It turns out, the backup was due to Geralt having to deal with a manticore. [xviii] Readers only get to read the aftermath of the fight, but it once again shows how impressive witchers are in their trade. I can’t believe that I have reached the halfway point of my series! I cannot tell you how wonderful I feel and what a confidence booster it is to see 5 out of 10 articles completed AND posted. The references seem to be dwindling with each article and I did notice that while I conducted my research. Baptism of Fire will be short as well, but come The Tower of Swallows, we get into some very important references. And don’t even get me started on The Lady of the Lake and all of the many references that I will reveal in that book as I have mentioned countless times in this article alone. Stay tuned, everyone! For those of you still with me, I cannot thank you enough for your support by reading my research and ramblings of this amazing fantasy series. I hope that by reading these articles you become excited about the books and want to start reading them. My article for Baptism of Fire will be posted soon!